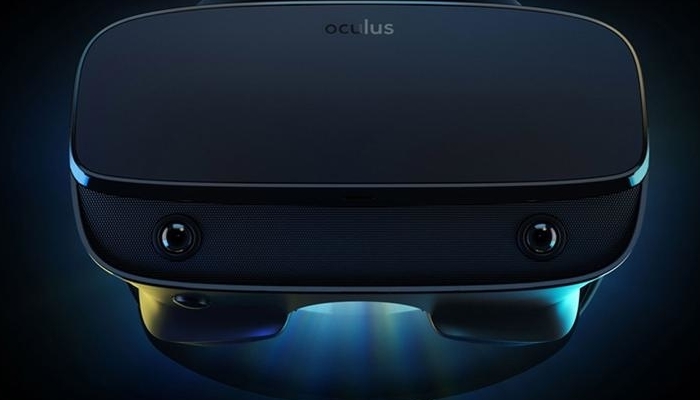 Facebook presents virtual reality headset Oculus Rift S. Oculus, a subsidiary of Facebook, announced Wednesday the Rift S, his headset for virtual reality (VR). The device is for sale from spring. The Rift S has two lenses with a resolution of 1280 x 1440 pixels each. The images shown are refreshed with a frequency of 80 Hz. How wide the field of vision of the Rift S is, Oculus has not announced. Furthermore, the Rift S is more substantial than the original Rift of 470 grams, which can assure that users can experience fatigue earlier. Exactly how much the Rift S weighs, Oculus has not brought out. a minimum of 8 GB of memory and a graphics card from Nvidia or AMD that can handle the running of VR experiences. The Rift S is also equipped with the so-called six degrees of freedom (6DoF). but also rotating shifts, which replaces the orientation of the image. When the Oculus Rift S goes on sale exactly has not been announced yet.